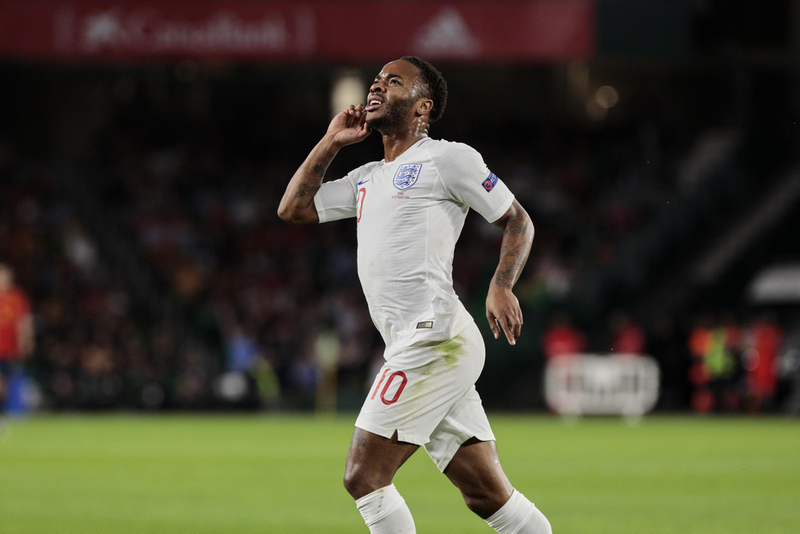 England continued their brilliant start to Euro 2020 qualification with an excellent performance and result versus Montenegro in a game which ended 5-1 thanks to goals from Ross Barkley, Harry Kane, Michael Keane and Raheem Sterling. Unfortunately, the result was overshadowed by racist chants from the home supporters. 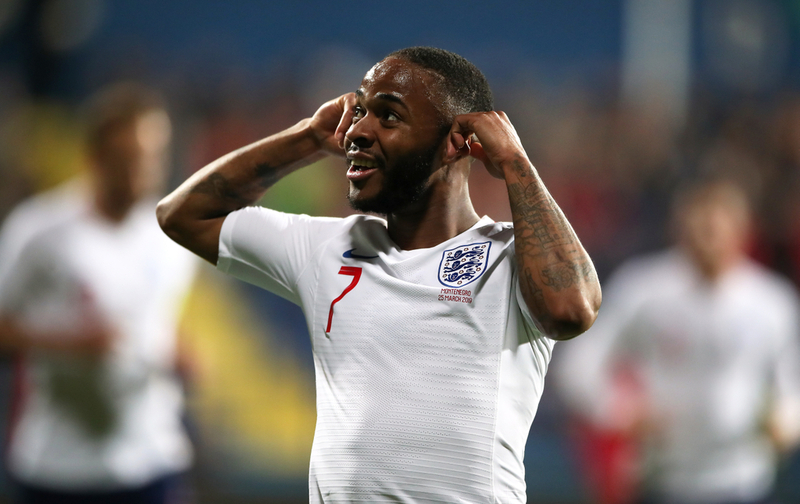 24-year-old winger Sterling cupped his hands against his ears after tucking the ball into the back of the net following word from his teammate, Danny Rose, that there were some in the crowd making racist gestures and chanting expletives. As the match came to an end, Rose committed a foul near the halfway line and was subsequently booked, an act which was met with monkey chanting from Montenegro fans that could be heard from those viewing on television at home. Some of those inside the ground reported racist abuse directed at England players as early as six minutes into the affair, with BBC commentator Ian Dennis explaining that he heard racist chants aimed at Rose when he got possession of the ball, while fellow BBC correspondent John Murray also reported hearing racist chants during the ninety minutes. 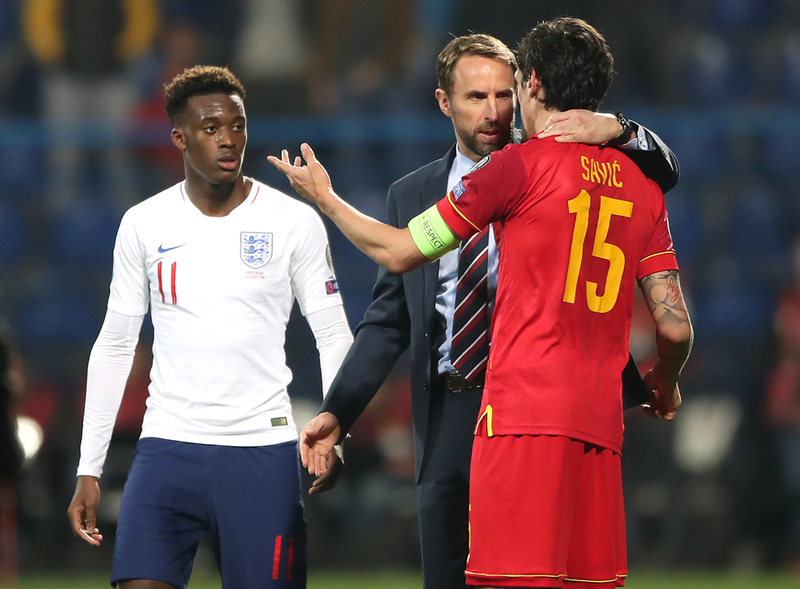 When talking about the incidents, manager Gareth Southgate appeared quite emotional and disappointed with what took place, saying that the events were “very sad” and that racist chanting is “unacceptable”. “I didn’t hear during the early part, but I’m told there were things in the early part of the game as well. I certainly heard when Danny Rose was booked. It was clear to everybody. It’s unacceptable. Montenegro boss Ljubisa Tumbakovic claimed that he did not hear any racist chants towards England players and when questioned on the matter he was adamant that he had no reason to be “commenting on that”. Manchester City’s star man Sterling is quoted as saying after the encounter: “It is a shame we are talking about this, to be honest with you. It is 2019 and there should be a real punishment for this, not just for the few people being banned. With the racist abuse well documented by everyone watching the game, it comes as no real surprise that Montenegro have been charged by Uefa for multiple offences, including: throwing objects, setting off fireworks, crowd disturbances, blocking of stairways and racist behaviour. Uefa’s Control, Ethics and Disciplinary board will meet and hear the case on 16th May and decide what punishment will suffice. Most will agree that a heavy punishment is necessary due to the vile nature of the gestures and chants thrown at England’s players, with some arguing that the nation should be kicked out of the Euro 2020 qualification group and others feeling that a stadium ban for a set amount of time would be enough. Any decision that Uefa make on this case will need to ensure that fans everywhere will never hurl disgusting abuse towards players again, this is an opportunity to send a firm message to football. The time when racism in football was ignored has long passed, change should now be of utmost importance to everybody who loves the game.